This is a painting done in watercolor. 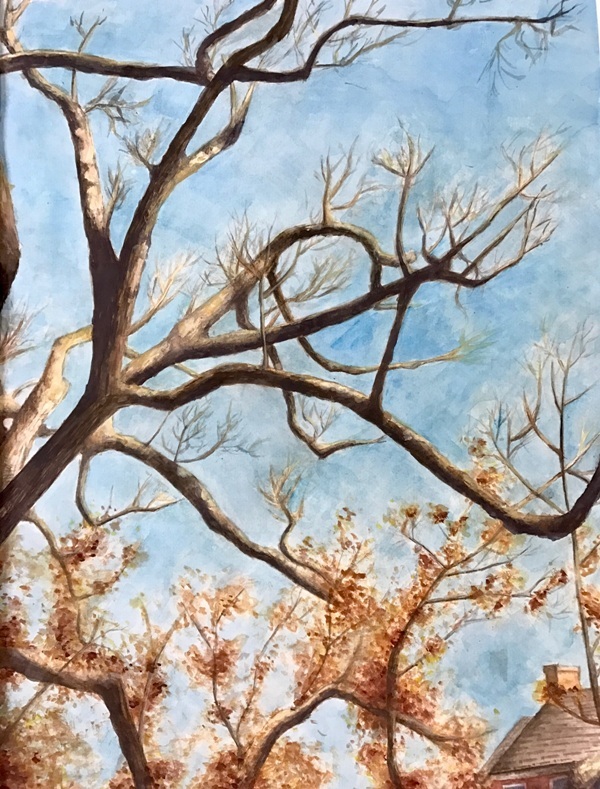 The subject of the painting means a lot to me because the tree was a Great Oak Tree in the center of my town, Basking Ridge, that recently just died. The tree has been around for 600 years and is a symbol of Basking Ridge.